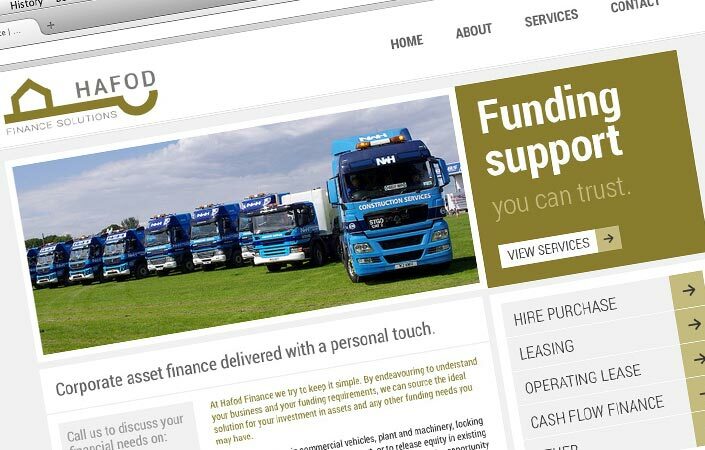 Put simply, Hafod Finance endeavour to understand business requirements and source the ideal solution for investing in assets and other funding needs. The local start-up business were in the process of branding the new business and were looking for a simple and clean web solution that complimented their business ethos. 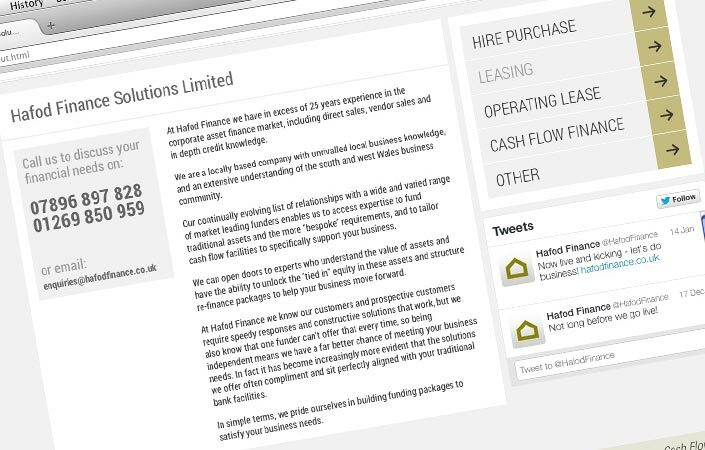 Hafod Finance contacted design reaction after a recommendation, and felt that our clean and simplistic sense of style and approach to projects was exactly what they needed to get their business online. The site was built following the guidelines of the new branding with the aim of providing a simple answer to providing visitors with answers and clear explanation to what services they offer. The clean looking site consists of a welcome home page, about page, services page cleverly utilising anchor points to jump directly to the service of the user’s choice, and a contact page displaying a map. Design Reaction also provided the set up and branding of a twitter account and also implemented a twitter feed on to the website. 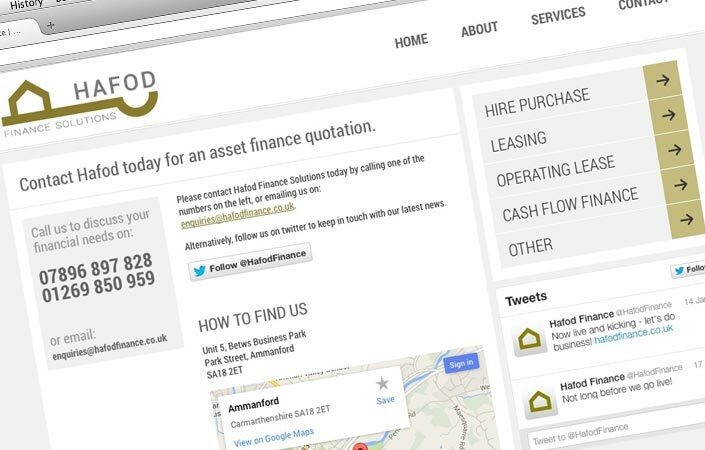 For more information on Hafod Finance visit their site. Wayne is helpful, reliable and a pleasure to deal with. I would recommend him to everyone! He is excellent at his job, completes tasks quickly and to an extremely high standard.